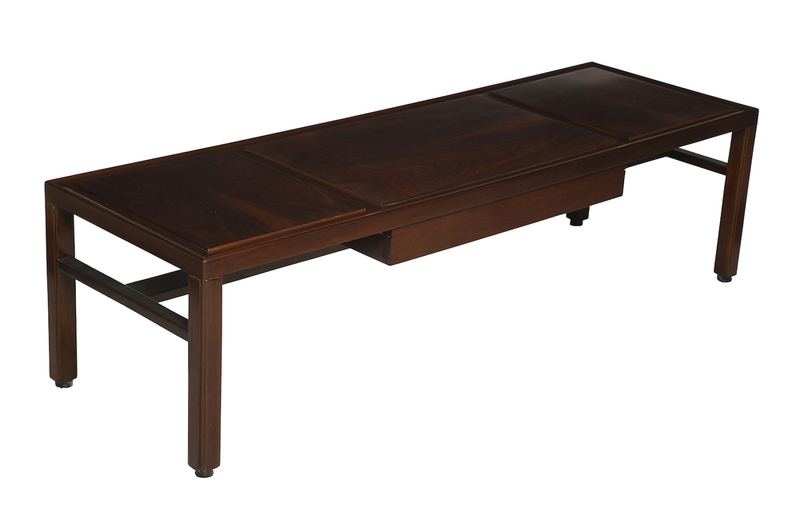 Rectangular table of mahogany with inset walnut panels on top. 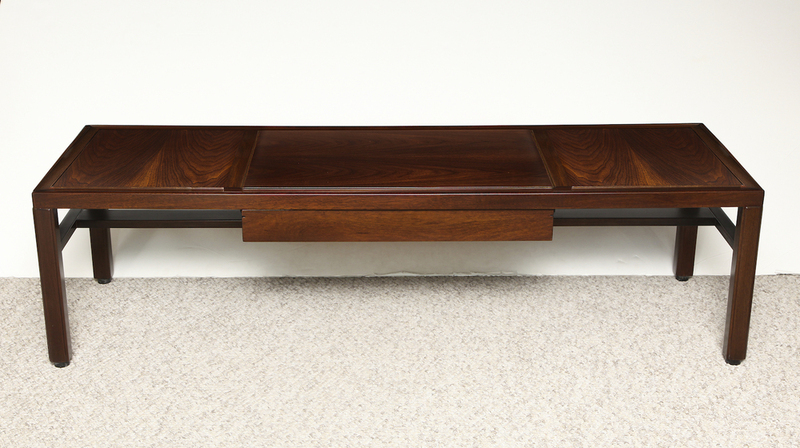 Double-sided center drawer and great detailing. *Published: Conversation Pieces, Dunbar. (Manufacturer's Catalog), Pg 27.
h. 16.5" w. 60" d. 19"
Excellent condition. Recently fully restored.